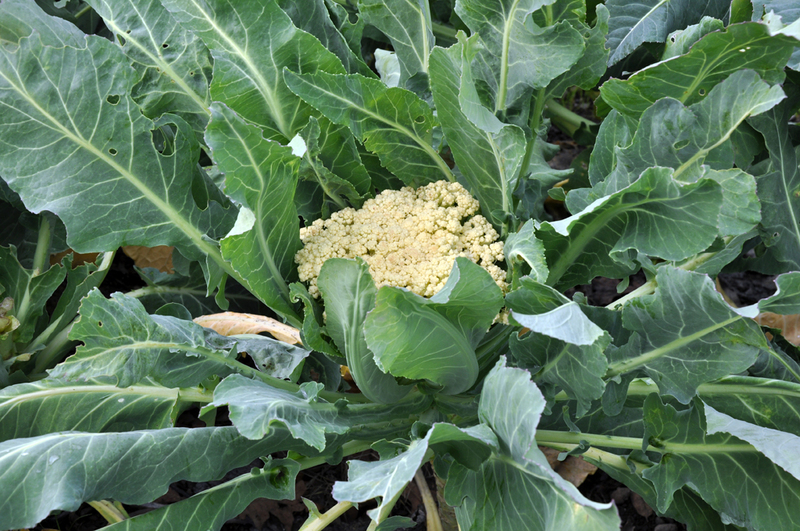 Cauliflower growing at a local restaurant in St. Helena, Farmstead, which is the uber farm to table spot! 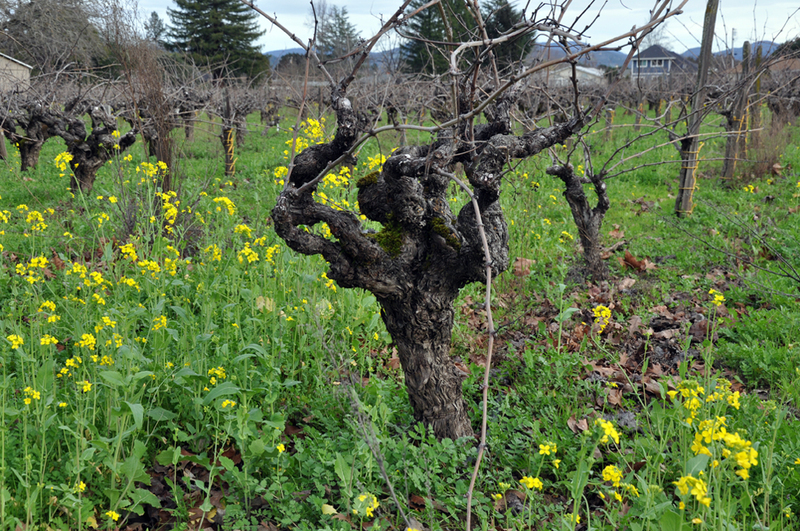 Zinfandel vines and wild mustard - that's the haps in Napa Valley in winter. Heat a large pot of salted water to a boil. Plunge the whole head of cauliflower, one at a time, into the water for 3 minutes. Remove with tongs and place into an ice water bath. Repeat with the second head. When cooled, chop coarsely with leaves and set aside. Meanwhile, bring stock to a boil over medium-high heat. Whisk in the quinoa, turn down to medium-low, cover and cook 20 minutes. If there is liquid left over, drain in a colander. Set aside to cool. In a blender or food processor, process EVOO and rosemary leaves. 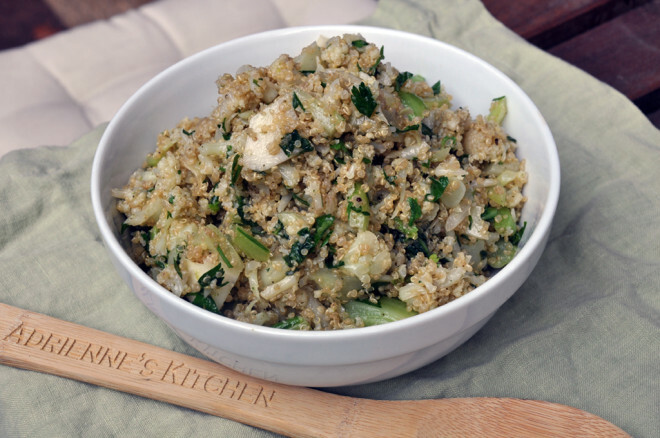 To assemble, mix chopped cauliflower, quinoa, rosemary oil, parsley and lemon juice in a large bowl. Adjust salt and other seasonings, as needed. Serve cold or at room temperature.